The Daily Graphic reports Ghana’s Minister of Petroleum, Mr Emmanuel Kofi-Armah Buah, giving an assurance that the drastic drop in the prices of crude oil on the world market will not have adverse effects on investor confidence in Ghana’s petroleum industry. According to the newspaper, the Minister is reported to have said “although the huge drop in the prices of crude oil had led to a dip in stock value that had negatively affected investment in the upstream sector, there was no cause for alarm. Companies have cut their projected budgets, investment plans have been reviewed downwards and there has been a lot of retrenchment globally, but Ghana’s oil and gas industry has not been affected that much… Ghana has been lucky because even in the very depressed circumstances, we are still continuing with major projects in the upstream petroleum sector. Direct Impact – Of course capital expenditures for the big ticket projects such as TEN and Sankofa haven’t been affected much [I agree with the Minister] because most received their final investment decisions before the price slump, and also some of the latter stage procurement decisions can benefit from about 30% cost deflation resulting in lower overall field development cost. In the long run, this should translate into higher petroleum rents for Ghana’s government should oil prices begin to pick up again. Even in the current environment, a lower cost base is also good in ensuring early revenues to the government taking into account frontloading of capital costs including depreciation and amortization. However, exploration budgets have been cut across the board and many drilling and seismic data acquisition campaigns have been suspended, including by E&P companies in Ghana. Ghana remains a relatively high cost basin for exploratory drilling in offshore West Africa and success rates haven’t been that great in recent years. 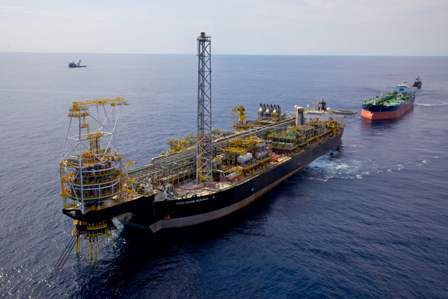 The nation’s offshore petroleum programme is currently anchored on four major discoveries/blocks – namely Jubilee Field and Greater Jubilee Area, Tweneboa-Enyenra-Ntomme (TEN) field,Offshore Cape Three Points (OCTP) and Hess Ghana’s Deepwater Tano/Cape Three Points discoveries. Future activities may be affected because of the lag in exploration and drilling effort should the price fall continue. Indirect Impact – Well there aren’t that many Ghanaians directly employed in the industry working for the E&P companies. So these jobs may hold up [need independent confirmation by the Petroleum Commission] as local workers don’t cost the companies much compared to expatriate ones. What we should be worried more about is the value-chain impact. There are numerous Ghanaian service companies that have been set up or engaged in joint ventures with foreign based ones with the hope of getting a piece of the petroleum pie. Most of these local engineering and services companies may be constrained to reduce staffing levels or even shut down operations should their contracts not be renewed by the E&P or major service companies companies on expiration. This could become a cog in our local content development effort and in the building of linkages in an economy badly in need of diversification. NB: I am involved in research looking at the implications of the continuous price fall for some oil exporting Sub-Saharan African economies. Case study countries are Ghana, Nigeria and Angola with some reference to emerging gas players in East Africa.